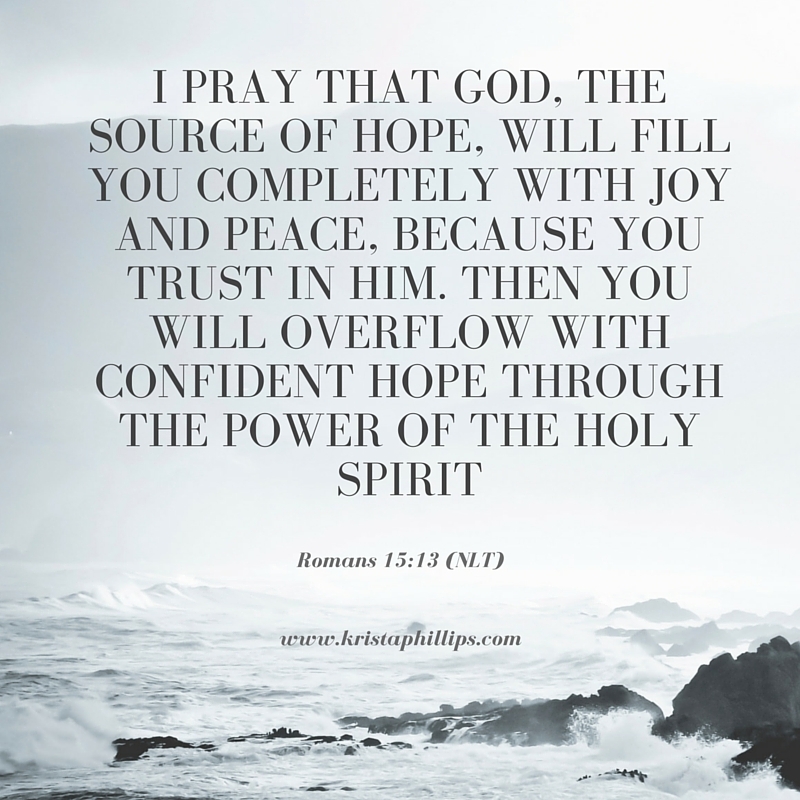 Praying that you OVERFLOW with confident hope today! When I read this scripture quote this morning, it resonated with me and I had to come back to respond to it! The reason why I say this, we were just facing a major decision in our lives this past week & it's one we really had to take a leap of faith in that God will be in it. We have complete faith & peace in our decision 🙂 I just love the "confident hope" you are talking about in this scripture, because that's EXACTLY how we feel. Thanks for blessing our lives today by posting this, you just never know whose life you will touch or how God will use it to speak to someone 🙂 Blessings to you! !